Moscow(ANN)-Russian Foreign Minister Sergei Lavrov says Moscow will consider delivering S-300 air defense systems to Damascus following the recent strikes against Syria by three Western powers. “Several years ago we decided not to supply S-300 systems to Syria at our partners’ request. Now, we will consider options to ensure the Syrian state’s security after this outrageous act of aggression from the United States, France and Great Britain,” Lavrov told the BBC on Tuesday. Lavrov noted that Moscow will consider “any means” to assist Damascus to counter further aggression. On Saturday, tripartite strikes by the US, Britain and France hit three sites in Syria, one in Damascus, and two in the city of Homs, which US President Donald Trump claimed were “associated with the chemical weapon capabilities” of the Syrian government. According to the Russian Defense Ministry, the Syrian army shot down 71 out of the 103 missiles fired during the attack, using Russian-made air defense systems, including S-125, S-200, as well as Buk and Kvadrat units. 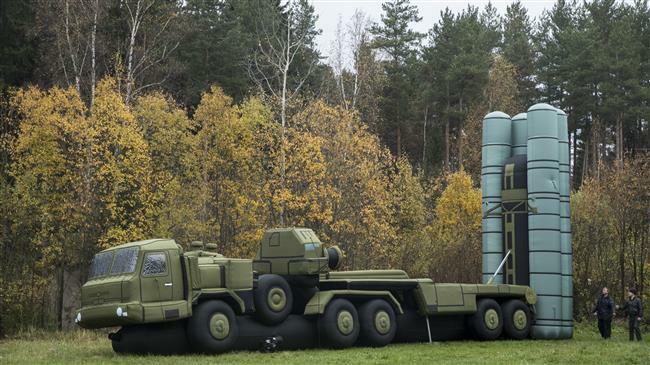 The Russian military’s Colonel-General Sergei Rudskoi said on Saturday that US actions in Syria are aimed at destabilizing the already fragile situation in the entire region, adding that S-300 could also be delivered to other countries as well as Syria. In a telephone conversation with German Chancellor Angela Merkel on Tuesday, Russian President Vladimir Putin slammed the airstrikes as a violation of the international law. “The Russian President once again stressed that the actions of a group of Western countries that committed an act of aggression against the Syrian Arab Republic grossly violated the norms of international law, including the UN Charter, and caused significant damage to the process of peaceful settlement of the Syrian crisis,” a statement by the Russian government said. Following the talks, the two sides agreed to resume a political process for Syria and to continue contacts with regard to the issue. Putin and Merkel also underlined the need for a thorough and unbiased investigation by the Organization for the Prohibition of Chemical Weapons (OPCW) mission in Syria. The US, Britain and France announced that the Saturday strikes were carried out as a “punitive” measure against Damascus for a suspected gas attack they claimed was conducted on April 7 by the Syrian government on the Damascus suburb town of Douma. The Syrian government has strongly denied the allegation and called on the OPCW to send a fact-finding mission for investigations. Moscow has said it has “irrefutable” evidence that the Douma attack was a “false flag” operation orchestrated by British spy services. The fresh strikes marked the second time that Trump has authorized attacks on Syria. He had ordered a missile strike against Shayrat Airbase in Syria’s Homs Province on April 7, 2017. He claimed back then that the air field had been the origin of a suspected sarin gas attack on the town of Khan Shaykhun in Idlib Province on April 4, 2017.